Watch the video or follow along with the article below. Select the font you’d like to upload. We support .ttf, .otf, and .woff font types. 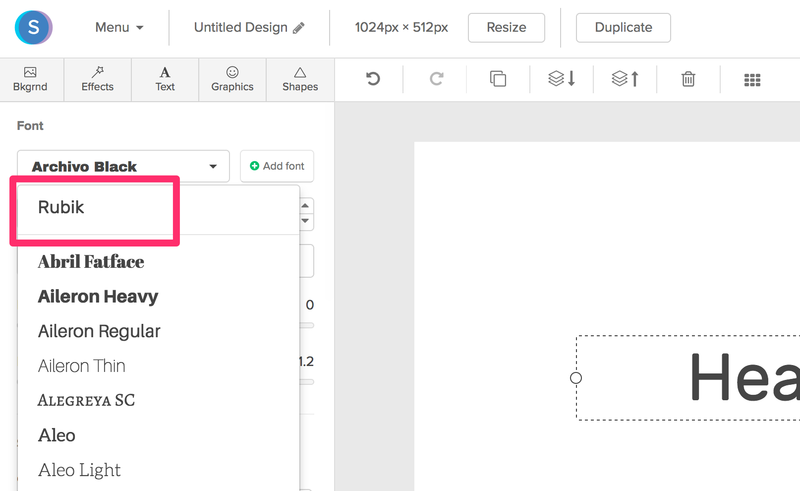 If successful, the font family and font type will display in the font list. 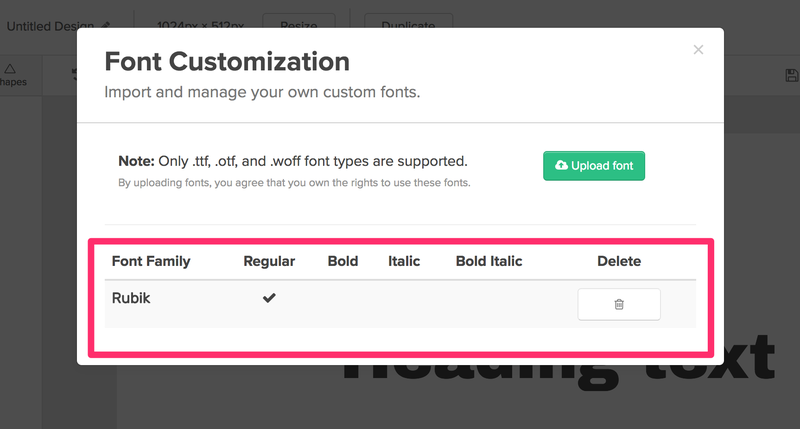 Close the font customization modal and click on a text box. 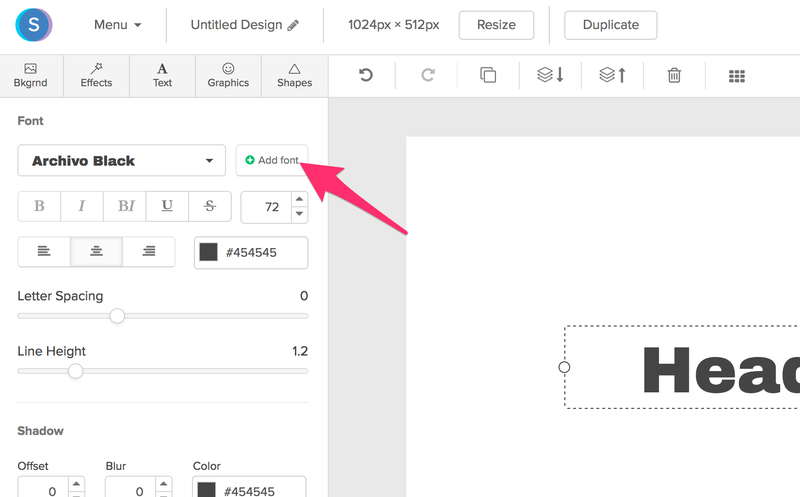 Your font will now show up at the top of the font dropdown list.